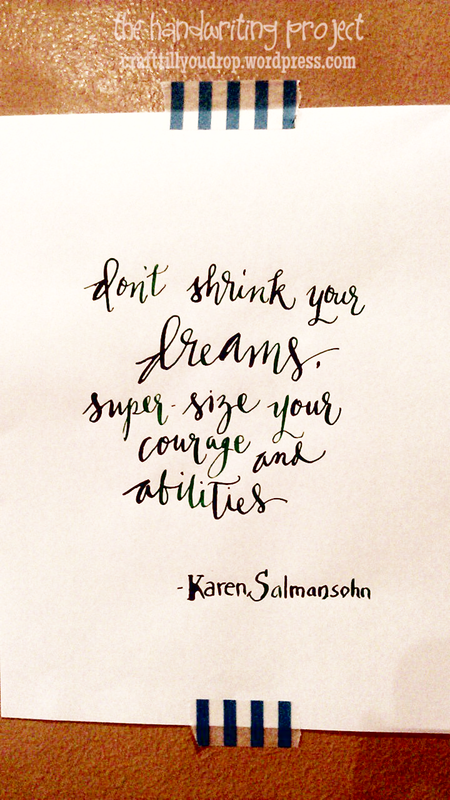 they say, “Dream big!” they say it gives us greater motivation to get us closer to our dreams. i am sure everyone of us has tried to dream big. and I am also quite certain that there were times when doubt distorts everything and we end up realizing our dreams were just merely dreams. doubt is a distortion of what we know is true. i believe that for as long as we set our eyes on the prize and that the prize remain relevant and important to us, the motivation won’t wander off and working for that dream will become more natural. cheers to our big dreams!